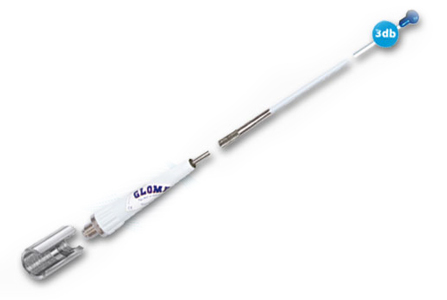 Glomex, founded in 1984, is one of the leading company in the manufacturing of specific antennas for nautical sector. Born with the ambition to make products of quality and to connect people in the maritime telecommunications, it has reached its objective focusing on values like: quality, efficiency, value, investments in technology and human resources, service, and responsibility. All factors that have contributed through the years to build up solid relationships with its distributors and the mayor worldwide boat-builders. Style, performance, passion, professionalism and hard work turn to the excellence are the additional characteristics that countersign Glomex all over the world. Glomex is the only manufacturing company in the nautical sector that offers the Lifetime Warranty on a lots of its products thanks to the meticulous choice of the raw materials and components to be purchased, the searches and the verifications for respecting the international standards and to develop products for different applications: from the civil use to the military. Furthermore, the packing is realized on purpose for avoiding risks during the deliveries. Glomex and its management consider the quality as the summation of the characteristics of every single product, adding services like deliveries effected with reliable and punctual forwarders or aftersale service. Focusing on the real demands of its customers, Glomex has reached qualitative standard of products and services to assure always and however the contact with the land or the receiving of TV signals.